Belfast’s newest theatre and arts space could be forced to close just three years after opening if it fails to secure £1 million for emergency repairs. 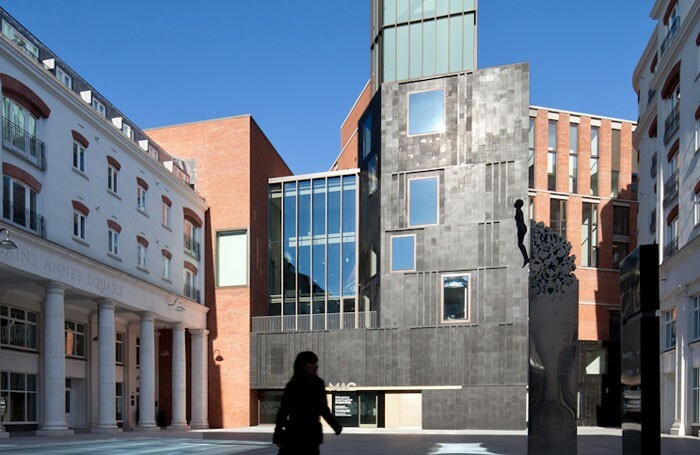 Belfast Metropolitan Arts Centre needs to repair its crumbling facade, with David Carson, director of finance at the Department of Culture, Arts and Leisure, claiming “there will need to be an assessment of what the consequences might be” if the issues are not resolved. The MAC opened in April 2012 at a cost of nearly £18 million and was recognised with an award for its designers Hackett Hall McKnight by the Royal Institute of British Architects. Damage to the six-storey building, which houses two theatre spaces, workshops and art galleries, was first noticed in April this year when basalt stone tiles began to fall from its exterior. It is not yet clear what is causing the damage or whether the fault may lie with the building’s design or its construction.